A rare Riley RME Woody Estate Car belonging to Dowty Group of Cheltenham. Alongside is a Gloucester Meteor Jet Plane. 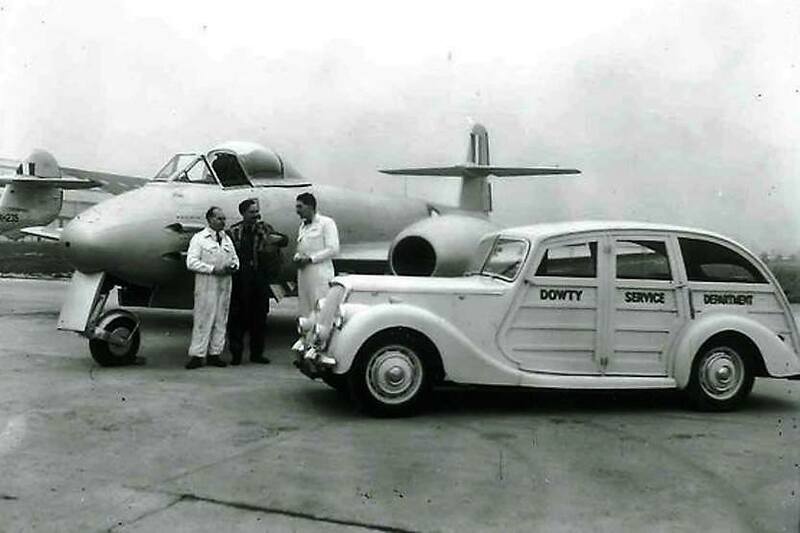 Dowty were famous for their aero undercarriages but had many other engineering activities.